Read our helpful guide to second hand Volkswagen Golf. Why buy a used Golf? Which used Golf should I buy? AA Cars works closely with thousands of UK used car dealers to bring you one of the largest selections of Volkswagen Golf cars on the market. You can also browse Volkswagen dealers to find a second hand car close to you today. 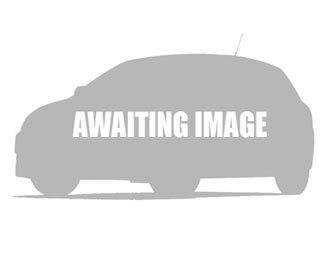 All used Volkswagen Golf on the AA Cars website come with free 12 months breakdown cover. 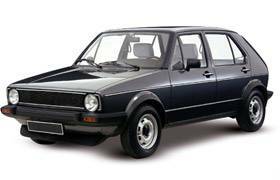 The VW Golf will celebrate its thirtieth birthday in 2014, and it's never looked in ruder health. The best-selling car in Europe by an increasingly green mile, each of the Golf's six generations have finished in the top two of the European Car Awards for a set of simple reasons. The Golf's design and dimensions have remained resolutely committed to its original look; it's effortless to drive; it's rarely off the road; it's affordable at the entry point and full of performance at the top end. Golf Mk I-III were focused mainly on cost-effective driving, while MKIV to VI are a little more refined, particularly inside. The current, sixth generation, Golf offers improved aerodynamics, AC as standard and has lifted more than 20 national awards, including 2009 World Car of the Year. The Golf continues to build on its legend. 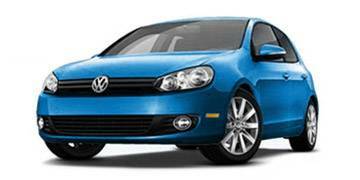 Since its launch in 1974 the Volkswagen Golf has been enormously successful. One of the best selling cars of all time, the recipient of countless awards, and offering arguably one of the best all round drives on the market, it is a car against which all others are compared.Now into its seventh generation, it remains the leader in its class, and continues to go from strength to strength. It may not be the most affordable to buy compared to its rivals, but it does deliver market leading performance, handling and reliability. Although it is soon to be entering into its fortieth year of production, the VW Golf is still a market leader. One of the all time best selling cars in the world, one of only two cars to have won the European Car of the Year twice and consistently awarded with consumer and critic gongs, it is one of the most universally lauded car ever. Being a car of such quality, it is not easy to single out one area of the Golf as excelling over the others. Performance options are fairly consistent across the range, starting at 1.2 at the lower end, and rising up to 2.0 and further for the turbocharged, GTi, and high-performance models, with all sizes offering a good mix of power and efficiency. The sixth generation TSi 1.4 models offer a punch beyond what might be expected, while all the most recent generation cars, feature stop/start systems to ensure maximum efficiency. In terms of economy the 1.6 diesel stands out, as it crucially emits under 100g/km CO2 - making it road tax exempt - and returns around 70mpg. The petrol engines fare well while not necessarily excelling in their class, offering returns around the 40 and 50mpg mark, which is certainly a respectable figure for a car of its quality. Ride quality is some of the best available. Smooth on motorways at high speeds, the Golf offers a laid-back drive that makes it incredibly comfortable, if not as exciting as some of its rivals. Handling is responsive and secure, as is the suspension - particularly in the newest generation, which is especially calm. The Golf's look hasn't changed too drastically over its life, but for good reason. Rather than following its rivals into distinctly modern territory with edgy lines and colours, the Golf has stuck with simple refinement, which means that there are no generations which feel particularly dated. As with many other car models, the space on offer in the Golf has only increased with newer generations, and the latest generation features a substantial amount of both luggage and passenger space. The interior quality and the top spec. finishings are market leading however, and make the Golf one of the most refined on the market. With good safety figures and the characteristic Volkswagen reliability, the Golf is still one of the leading cars in not only the subcompact market, but on the roads today. The VW Golf has consistently been a market leader since it was first launched in 1974. Here is a brief overview of the VW Golf's history, starting way back in 1974. The first Golf was introduced by VW in 1974 as a front wheel drive replacement for the Beetle. It became the first widely successful front wheel drive. The Golf GTi was first unveiled in 1975 at the Frankfurt Motor Show, and was one of the very first hot hatches to become available. In 1981 the first generation Golf was named What Car? magazine's Car of the Year. The second generation Golf was introduced in 1983, and was slightly larger than its predecessor. In 1984 the car came third in the European Car of the Year Award. In 1992 Volkswagen introduced the third generation Golf to the UK, and in 1992 it was named European Car of the Year as well as What Car? magazine's car of the year. 1997 saw the launch of the fourth generation VW Golf, which was more upmarket and featured higher-spec equipment than previous models - a step that Volkswagen took across its whole range. In 2001 the VW Golf was the top selling car in Europe, and from this year on was consistently included in the top ten best selling cars in the UK. The Volkswagen Golf Mk5 was introduced at the Frankfurt Motor Show in 2003, and delivered improved handling and ride. 2008 saw the introduction of the sixth generation Golf, which was unveiled at the Paris Motor Show and was more of a re-skin than a full redesign of the Mk5. In 2009 it was named World Car of the Year. The seventh generation of Golf was debuted at the 2012 Paris Motor Show and went on sale the following year. In 2013 it won European Car of the Year, making it only the second car to have won the accolade more than once. There are a considerably large number of Golf models available to buy, so you are guaranteed to find something to suit your needs. Here are the latest generation models and their key features. Bluetooth connectivity, Composition Media System, ESP, 15" steel wheels, front electric windows, multifunction computer, ABS, ESP, ISOFIX childseat anchor points, air conditioning with pollen filter, electrically adjustable and heated door mirrors, start/stop system. Automatic Distance Control, 16" Toronto alloy wheels, Composition Media System, pre-crash preventative occupant protection, electric windows, Bluetooth connectivity, multi-function computer, ABS, ESP, ISOFIX childseat anchor points, air conditioning with pollen filter, electrically adjustable and heated door mirrors, rain sensor and automatic dimming interior rear-view mirror, stop/start system, cruise control. 17" Dijon alloy wheels, ambient lighting, Discover Navigation System, parking sensors, electric windows, Bluetooth connectivity, multi-function computer, ABS, ESP, ISOFIX childseat anchor points, air conditioning with pollen filter, electrically adjustable and heated door mirrors, stop/start system, cruise control. What should I look for when buying a used Golf? Reliability on Golfs, like Volkswagens in general, is good, but be sure to keep an eye out for a few of these known problems to make sure you spot one in good condition. Walk around the exterior of the car checking for any noticeable faults such as rust or corrosion. Particularly around the wheel arch. Some Golf models have been known to have leaking doors, and in some cases water retention. Check there are no signs of this - water stains, damp patches, mould - inside the cabin. Check the rear axles of any car built between 1997 and 2000 - an area known to have problems. This is often caused by moisture in the ball joints which causes corrosion and the joints to seize. Fourth generation Golfs have reported problems with the electrics, so check to see if the windows, central locking and air conditioning systems are all working properly on any model you are looking at. There have been some reports that clutches have a relatively short life span of around 50,000 miles, so check to see if this has been replaced if the car you are looking at has a mileage around this figure. Take the car out for a road test and check that the brakes are strong and responsive. Some models built in the late 90s suffered from a brake servo pipe which was known to crack and leak, which caused considerable force to be placed onto the brake pedal in order to get sufficient braking. On the road listen for a grinding noise coming from the steering, which could mean that parts will need to be replaced. If the handling feels poor and there are unexplained clunks or noises it could mean that the front suspension is suffering, and could need to be replaced.